When I started this blog, I wrote that I was going to provide you with some insight into the challenges and triumphs of the OCO mission. Today has definitely been a challenge. Keeping with the theme of this blog, I’m going to stick more with my personal experiences from the last 24 hours, than the specific details of what happened (this info is available on the NASA home page). The evening began for me as a boyhood dream come true….sitting on console at the Mission Director’s Center monitoring launch preparation communications. I felt a combination of excitement and nervousness as the countdown continued. The coordination and professionalism of the personnel participating in the launch is far beyond any expectations that I had before witnessing it first hand. As we went to the final countdown, my stomach was in knots. The tension remained even after everything looked nominal immediately following lift off, just waiting for the first positive signals from OCO. Unfortunately, the dream didn’t end like it did when I was a kid. It is difficult to describe the bitter disappointment in the room when the NASA Launch Manager called a contingency. Faces throughout the room dropped. I just put my head in my hands. As bad as I felt, I know it was even tougher on the scientists and engineers who have spent countless hours preparing the observatory for this day. As I mentioned in an earlier post, we plan for the best, but prepare for the worst. That preparation was important, as it enabled the team to react quickly and prepare for the upcoming investigation. For me, the meetings, phone calls and e-mails have been continuous. It was tough today, but we will go on. The people who work for NASA do so because we love the science…love the technology…and love the challenge. What we do isn’t easy and sometimes we don’t succeed. But as we recover from the shock of this loss, we will pick ourselves up and prepare for the next mission…the next challenge. NASA, and its Earth science program, will continue to do great things for the science community, the country, and the world. Thanks to those who have taken the time to read my blog. I hope I get the opportunity to do this again in the future. Just a quick update. Everything remains on track for tonight. My briefings are done. I mingled with the launch guests. And I am back at my hotel for a short break. I am definitely wearing down and need to try to get in a power nap. As soon as I am done with this update, I’m going to set the alarm on the clock in my room, and the one on my cell phone, and get a wake up call. There is NO WAY I am missing tonight’s launch! It is 6:00PM now…if I can settle down enough (I am pretty excited), hopefully I can get in 2-3 hours of sleep before the long night begins. Just to make this blog entry worth while, let me post a couple of great pictures of the Taurus XL launch vehicle with protective covers off. OCO is inside the fairing waiting for the ride to begin. These two spectacular photos are courtesy of NASA KSC/Analex and Orbital Sciences Corporation. I’ll try to drop a quick blog some time during the launch sequence. Author eiansonPosted on February 23, 2009 March 15, 2013 Tags Earth Science, General, OCO4 Comments on Launch Day is here! Today was a relatively quiet day here at Vandenberg. The only event on my agenda was a dress rehearsal for Monday’s pre-launch press conference. You might be thinking, “Dress rehersal? What for?” Well, for most of us on the panel, speaking to the media isn’t something we do on a regular basis. So it is important for us to get together in advance to make sure our prepared statements work well together, proving a narrative that is easy to understand and conveying the key points we would like the public to know. Also, we need to coordinate any visuals that we will be presenting with the right verbal cues. The other aspect of press conferences is the question and answer session. While each of the panelists is well versed in his/her field of expertise, the questions asked may be provocative or off our “beaten path”. It is helpful for us to anticipate these types of questions and give some thought as to how best to respond. One of the things I’d like to help convey today through my blog is a simple explanation of what the science of OCO is all about. We know that the global level of carbon dioxide is rapidly increasing in the atmosphere and is currently at about 380 parts per million. However, at any given time the concentration of carbon dioxide at different locations around the globe varies only by 8-10 parts per million in the north-south direction and 3-4 parts per million in the east-west direction. So in order to understand where carbon dioxide is being added to the atmosphere (sources) or being removed (sinks), very precise measurements are required. Currently, there are ground base stations that can give this precision, but they are few and far between. We can also make precise measurements using instruments on aircrafts, but again the sampling area is small, and the duration of airborne campaigns is relatively short. NASA is currently measuring carbon dioxide with the Atmospheric Infrared Sounder (AIRS) instrument on NASA’s Aqua satellite, but it is focused only on the mid-troposphere region of the atmosphere and it does not have the resolution to identify sources and sinks. OCO is designed to determine carbon dioxide concentrations to 1 part per million. Flying in its near-polar, sun-synchronous orbit, OCO will be able to map the carbon dioxide concentrations throughout the globe every 16 days. With a prime mission planned for 2 years, we will be able to obtain this mapping over two full seasonal cycles. So, OCO will provide scientists with both the coverage and accuracy needed to resolve sources and sinks of carbon dioxide. Today was the last major NASA meeting prior to launch…the Launch Readiness Review (LRR). The LRR is the final opportunity for each of the organizations involved in the mission to determine if OCO is ready to proceed with the launch. At the LRR, reports were provided by the spacecraft team, launch vehicle team, western range, weather, communications/telemetry, and public affairs. At the conclusion of the review a poll was taken of the senior officials from each organization represented at the meeting to if we were ready to proceed to launch. At today’s LRR all responses were “ready to proceed”, so we are all set for a launch Tuesday morning! The latest weather forecast looks encouraging. There is a 50% chance of showers early Monday, but then it is expected to clear for the late afternoon. For our launch window, which opens at 1:51AM PST, the forecast of partly cloudy skies with a 10% chance of precipitation sounds pretty good. Speaking of the launch window, I’ve had several friends and family ask if we could schedule the launch at a more convenient time. Unfortunately, what is inconvenient for viewing of the launch is ideal for the OCO mission. 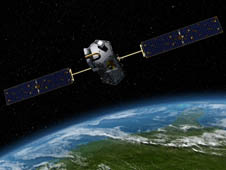 OCO plans to fly as part of the Earth Observing System Afternoon Constellation, also known as the A-Train. The A-Train currently consists of 5 satellites (Aura, Aqua, CloudSat, CALIPSO, and PARASOL) flying in formation. Operating in this coordinated flight formation will allow OCO’s measurements of carbon dioxide to be combined with nearly simultaneous measurements (ozone, nitrogen dioxide and methane, to name a few) from other A-Train satellites to help scientists better understand our complex Earth system. In order for OCO to be inserted into the correct position in the A-Train, we have only an 8-minute window each day to launch…and this window opens at 1:51AM PST. So, set your alarms, grab a little coffee, tune in to NASA TV and enjoy the launch! Author eiansonPosted on February 23, 2009 March 15, 2013 Tags Earth Science, General, OCO1 Comment on Ready to proceed! The process of building and launching a NASA satellite involves establishment of stringent requirements, rigorous design reviews, and robust ground based test programs. Today, one of the final tests was performed on the OCO system. This event, the Combined System Test (CST), was an integrated electrical test of the launch vehicle working with the OCO spacecraft. The CST went well and all systems remain a “go” for a Tuesday morning launch. Despite all the efforts to ensure mission success, the very nature of space missions carries some degree of risk. Accordingly, NASA must be prepared in the unlikely event that something goes wrong. 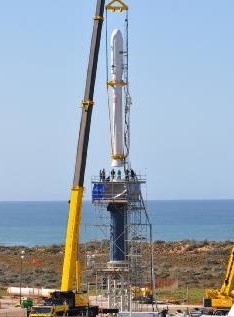 The second of today’s big events at the launch site was part of this preparation process. All of the key players for launch day gathered at Vandenberg AFB to run through a contingency exercise. The goal was to make sure that everyone understood their roles in the event of serious problem. Having been directly involved in the development of these contingency plans, I’ve gained a new appreciation for the complexity of this effort. In the end though, these are plans we hope to never have to put into action. With each post in this blog, I am going to try to put in a little information to help people better understand NASA missions, and OCO in particular. Today, I’d like to focus on the last “O” in OCO…which stands for “Observatory”. An observatory is comprised of a spacecraft and science instruments. The spacecraft is often referred to as the “bus”. The instruments can be thought of as the bus passengers. OCO’s spacecraft bus is a LEOStar-2, built by Orbital Sciences Corporation. The LEOStar-2 line of spacecrafts has been successfully used by NASA several times in the past…most recently on the AIM mission. While all LEOStar-2 spacecrafts have a common basic architecture, each mission has unique attributes, depending on the orbit and instrument requirements. Some observatories are large and carry multiple instruments, which have to share observatory resources and measurement opportunities. OCO is a very focused mission, with a single instrument. Because the OCO instrument gets a solo ride on the bus, it enables nearly continuous carbon dioxide measurements to be taken. This exclusivity also provides OCO scientists the ability to request changes in the observatory’s orientation, to point the instrument at locations of interest on the Earth. Today was a travel day for me. I left the Washington DC area early this morning and arrived at my hotel in Lompoc, California at about 4:00 PM Pacific Time. Lompoc is just a few miles from the gates of Vandenberg Air Force Base, where OCO will be launched next week. Vandenberg AFB is located about 75 miles northwest of Santa Barbara…quite a drive from my flight arrival in Los Angeles. The long trip made me envious of the OCO observatory, which will go from Vandenberg to orbit in under 14 minutes! The launch site is right on the Pacific coast. Today was a beautiful, sunny day…let’s hope it stays that way for the next several days. When I speak with friends and relatives about the OCO mission, they are usually surprised to learn it will not be launched from the Kennedy Space Center (KSC) in Florida. KSC is indeed the location from which NASA launches many of its high profile missions, such as the Space Shuttle and various interplanetary spacecrafts. For Earth observing satellites, the choice of launch site is very much dependent on the mission’s orbit requirements. In the case of OCO, it is a low-Earth orbit (or LEO) satellite that will fly in a near-polar, sun-synchronous orbit. A near-polar orbit means that OCO will fly over (or more correctly nearly over) both the north and south poles on every orbit. Sun-synchronous means that when OCO crosses the equator on each orbit, it will be approximately the same time of day on the ground below. So as the Earth rotates, OCO’s orbit remains in the same location relative to the sun. The project passed a big milestone yesterday, when the observatory and launch vehicle were successfully erected at the launch pad, marking the first time the complete system has been assembled in its launch configuration. 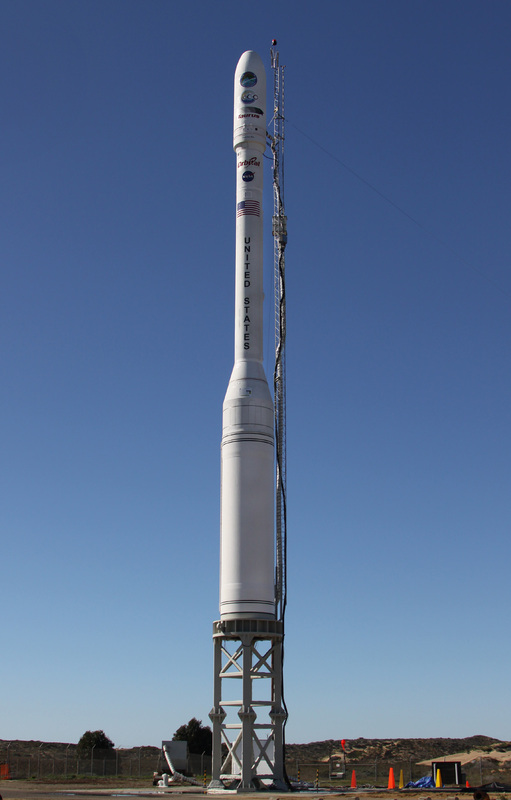 OCO will be launched on a Taurus 3110, manufactured by Orbital Sciences Corporation. 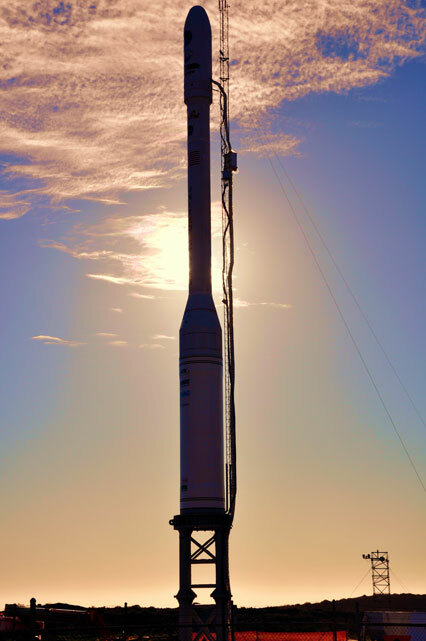 This will be the first launch of this particular configuration of Taurus (although each of its stages has flown on other configuration launch vehicles). It is also the first time a Taurus will be used with a NASA satellite as its primary payload. One of the big efforts associated with this launch was completing the NASA certification of the launch vehicle. This is a lengthy, but thorough and necessary process (that includes testing, analysis, and documentation) managed by NASA’s Launch Service Program to ensure there is sufficient confidence in the system to proceed with launch. With the certification now complete, Taurus 3110 can be used for other NASA missions, including Glory, another Earth science satellite with a launch planned for later this year. I plan to update this blog daily from now through launch, so please stay tuned. 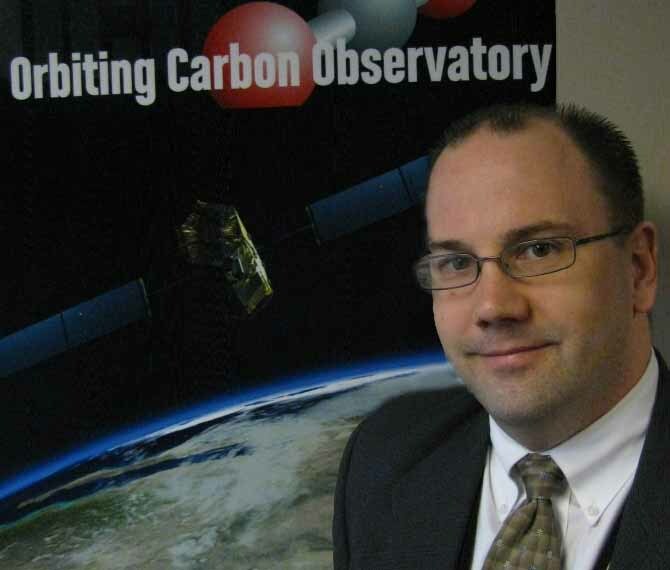 Welcome to the NASA HQ blog for the Orbiting Carbon Observatory, or OCO. The objective of this blog is to provide readers a first-hand account of the experience associated with the launch of a NASA satellite. This will include all of the pre-launch events, launch night itself, and near-term post-launch activities. I’ve been working for NASA for almost five years, but this will be my first launch. So, as I experience the challenges and triumphs of the OCO launch campaign, you will be along for the ride! Let me provide a little background on who I am and what I do. My name is Eric Ianson and I am the program executive for OCO. As program executive, I am the primary point of contact at NASA Headquarters for the programmatic aspects of the mission. This means I am responsible for tracking the mission’s cost, schedule, and performance against NASA established requirements. But in a broader sense, I am an advocate, advisor, sounding board, liaison, counselor, “gofer”, secretary, etc. It’s a great job, as it affords the opportunity to play many different roles (including blogger) for the world’s premiere space agency. So what’s this mission all about? 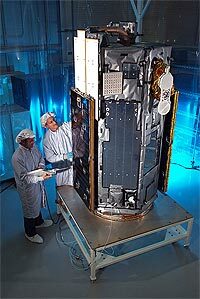 OCO is NASA’s first satellite dedicated to studying atmospheric carbon dioxide. The mission will help scientists determine carbon dioxide’s sources, or the places on Earth where carbon dioxide is being added to the atmosphere, and also its sinks – where it is being removed. Carbon dioxide is central to the issue of climate change, because there has been a rapid rise (especially over the last 50 years) of this important greenhouse gas, due to human influences, such as the burning of fossil fuels and deforestation. The mystery of carbon dioxide is that we know approximately how much carbon dioxide is released into the atmosphere each year from human activity, but we can only account for about half of the carbon dioxide that doesn’t remain in the atmosphere. Given the heightened awareness of carbon dioxide’s role in climate change, the planned launch of OCO on February 24, 2009 is very timely. I look forward to staying in touch through this forum and hope this blog provides you with a better understanding of the huge effort it takes to launch a NASA mission and the rewards when it all comes together. I’ll be posting again soon!